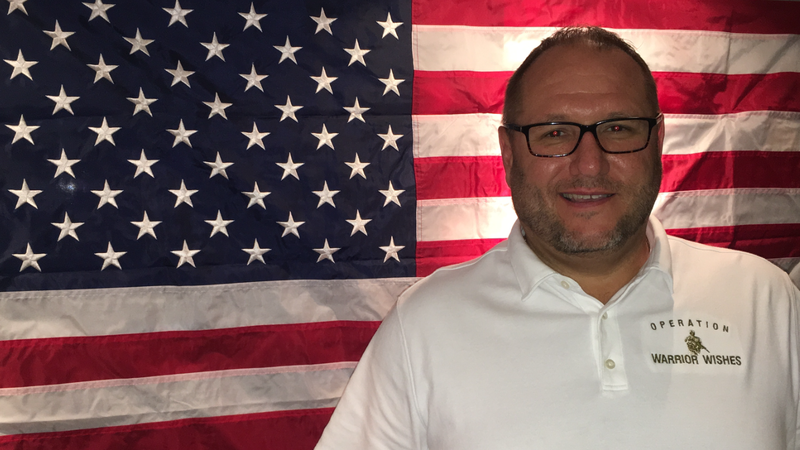 Matt is an avid sports fan with a passion to serve those who serve our country. He and his dad, Craig, created the Operation Warrior Wishes Foundation to honor heroes & keep legacies alive by providing once in a lifetime experiences to warriors from the battlefields to the ballfields. 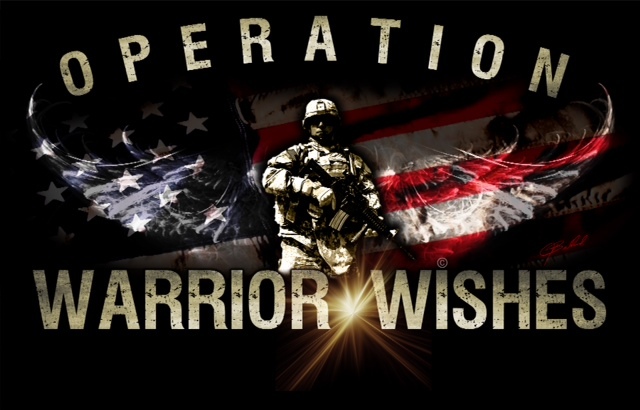 Operation Warrior Wishes was created to show these warriors who selflessly defend our country that their service and sacrifices are appreciated, they haven't gone unnoticed & will never be forgotten. One of Matt's heroes is his Uncle Ken, who served in the Navy & was part of the inspiration behind Operation Warrior Wishes. 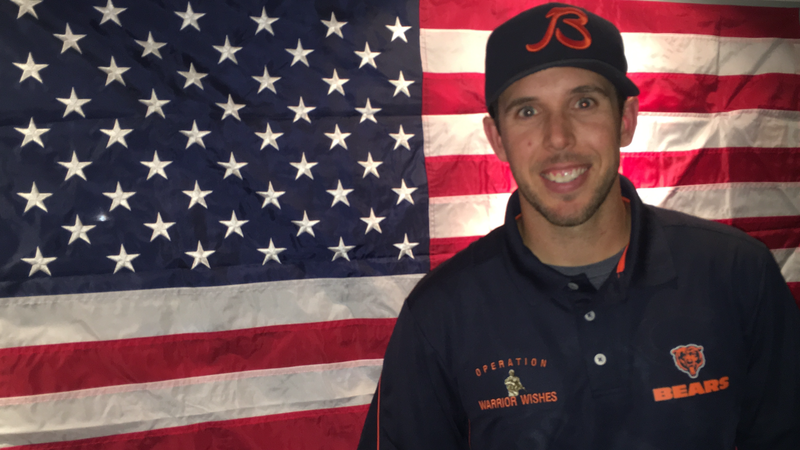 Matt is the president of Operation Warrior Wishes. He wears a lot of different hats, literally, thanks to New Era & figuratively as he is the man behind the scenes planning the logistics for each mission. He also manages the finances, the website & social media for the foundation. When Matt's not working hard to make Warrior Wishes come true, he can be found working at the bank during the days & with his family at night & on the weekends. Matt & his wife, Melissa are proud parents to their son, Xander & will be welcoming their daughter, Quinn, to their family in the very near future. Manny Gonzalez is a retired US Marine who has faced and overcome numerous challenges in his life. 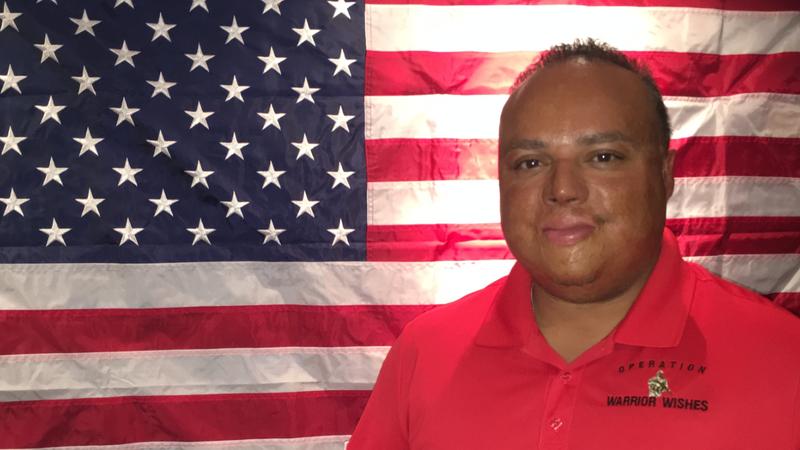 Having suffered 2nd and 3rd burns to approximately 80% of his body after being caught in a brush fire while his unit was conducting combat exercises, Manny has been active in both the Veterans and burn survivor communities, inspiring everyone he meets. He has served as a counselor at the Illinois Fire Safety Alliance’s children’s burn camp, Camp “I Am Me”, and was also the National Spokesperson for Burn Survivors for the Wish Upon a Hero Foundation in 2012. Manny currently serves on the Illinois Secretary of State’s Veterans Advisory Council, having been appointed to the board by Secretary of State Jesse White in 2013. He currently works for the US Department of Veterans Affairs as a Patient Advocate for the Jesse Brown VA Medical Center in Chicago, giving a voice to those who need help being heard. Manny is also active in motivational speaking, sharing his message of empowerment and hope. Manny had his Warrior Wish come true at a Bears game in 2014 & has been active with our Organization ever since. We are truly honored to have this amazing warrior serving on our board of directors as an advocate for all warriors. Don Gaylord has an incredible passion for giving back to those who serve & have served us. From the men & women who serve in the military to the ones who serve in our own backyards as firefighters & police officers. He understands that they have all made sacrifices for us. Don is an amazing addition to our growing board of directors. Don grew up and lives in the Chicagoland area with his beautiful wife of 23 years & 4 children. He earned his BA in business from Western Illinois university & is currently employed as a financial advisor. Don enjoys fishing & volunterring with local veterans organizations. 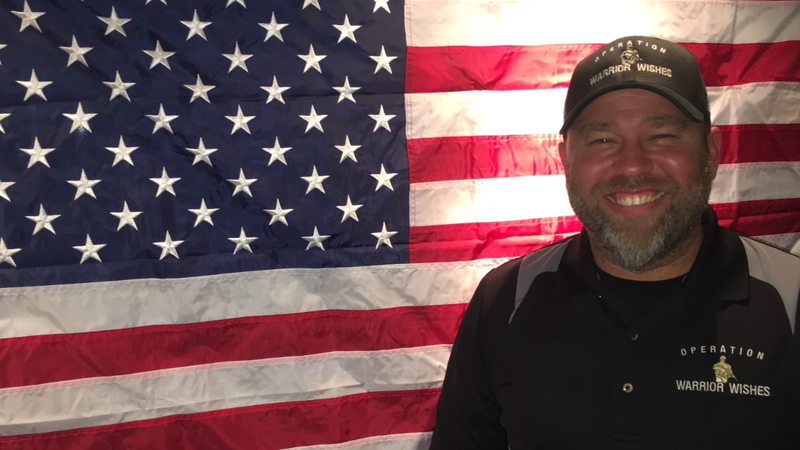 Chris Clay has been an essential part of Operation Warrior Wishes' mission over the past few years. He has helped us coordinate fundraisers, organize volunteers, acquire grants & made Warrior Wishes come true annually at the Army-Navy game. Chris lives in the Chicagoland area & has been married to his beautiful Wife, Colleen, for over 25 years. They have four children Joey, Jessica, Jennifer and Joshua. Both Jessica and Jennifer are graduates of West Point and are currently serving as Officers in the Unites States Army. Both sons are currently pursuing college degrees. Chris' is originally from Springfield, IL and a graduate of St. Louis University with a BS in Finance and a Minor in Political Science. He has worked in the Pharmaceutical Industry for over 25 years and is currently Sr. Director of National Accounts for Sanofi. We are thankful to have Chris on our team & can't wait to make Warrior Wishes come true with him again this year at the Army - Navy Game! Craig Steichen has spent the past 4 years dedicating his life to make Warrior Wishes come true. He & his son, Matt, started the Operation Warrior Wishes Foundation in 2012. Since then, Craig has personally hosted more than 1500 Warriors at over 400 events across the country. When he is not on the road hosting Warriors, he is back home networking & setting up future missions. Not a day goes by where Craig isn't working on making a Warriors wish come true. He is the hardest working person we know & gets paid in nothing but smiles. Craig doesn't do this for money, fame or recognition, he does it because he wants to make sure that every warrior out there knows that their service & sacrifices are appreciated. He wants to remind them that what they have done for us has not gone unnoticed & it will never be forgotten. If you think his lifestyle is glamorous because he gets to host Warriors at all these games, think again. Craig would rather take a $1 megabus ride to save money on a flight, he often chooses to sleep at airports, bus stations & park benches to save money on hotels & if tickets to the game are too expensive, he will hang out outside the stadium and wait for the game to get over to make sure the Warriors had a great time. Craig knows the more we save on overhead expenses for the organization, the more Warrior Wishes we get to make come true. All he wants to see is a smile on the Warriors face & he says ``that makes it all worth it.`` Craig also does a great job building relationships with each of the Warriors he hosts. It's so much more than just a game. Without Craig's hard work, never give up optimistic attitude & dedication to the organization, we would have never been able to make warrior wishes come true for so many Warriors. We are proud of him & very thankful to have him on our team. Bill encouraged Matt & Craig to set out on their inaugural mission in 2012 and has supported the mission ever since. Last year Bill had the opportunity to go with Craig on a few missions and helped us make Warrior Wishes come true first hand. When Matt & Craig saw the passion he had to make the warrior's experience special, they knew this is someone they wanted on their team. Bill joined the board of directors for Warrior Wishes in February 2016. He has gone above and beyond to help us plan missions, fundraise and enjoys hitting the road, with lots of twizzlers and coffee, with Craig, Matt and the gang to make Warrior Wishes come true! When Mark Topel, signed up to be a Medal of Honor Sponsor for our 3rd Annual Warrior Wishes Scramble, he had no idea what he was getting himself into. Mark assumed he was just giving back to an organization he believed in. 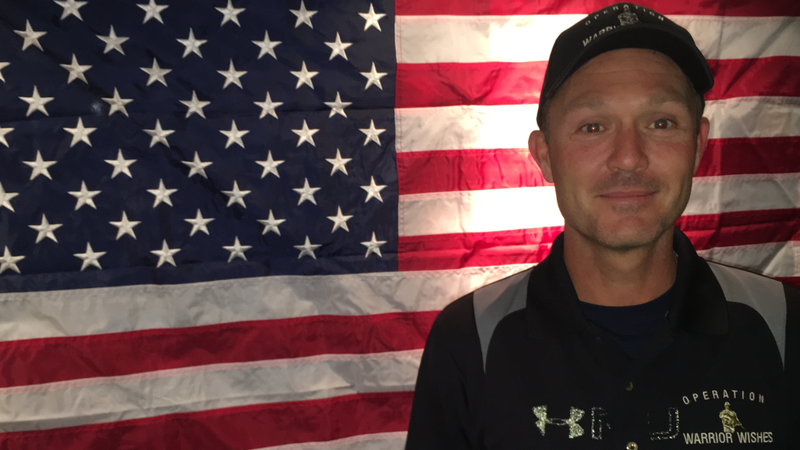 Mark himself is a Marine Veteran with a passion to help other warriors. He owns Toppel Plumbing in Elgin, IL & jumped at the opportunity to become a Medal of Honor Sponsor. Mark enjoyed meeting a lot of the Warriors and wanted to become more involved to continue to give back. We saw the passion he had & the connection he made with the Warriors and knew we wanted him on our team. Mark very proudly served our country from 1992-1996 in the United States Marine Corps. 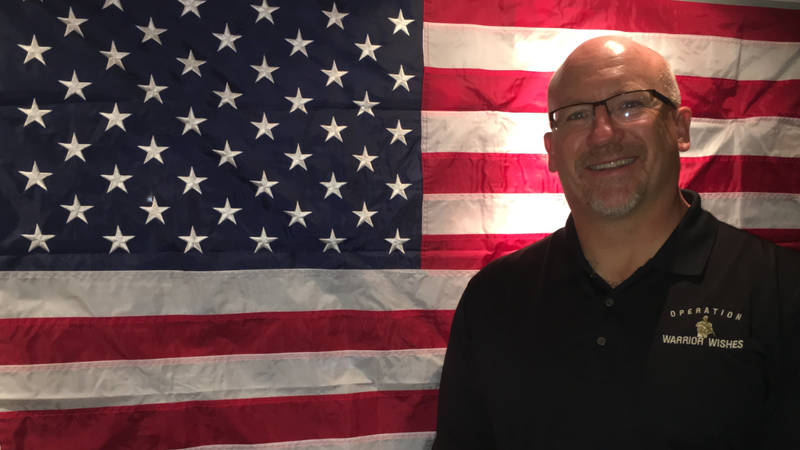 He currently is the President of Toppel Plumbing which he and his brother Derrick Toppel started in August of 2010. 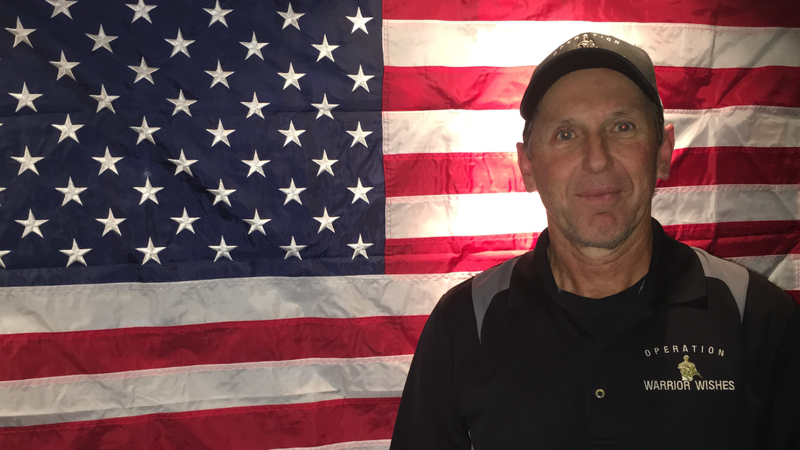 Mark is a life long resident of Elgin, IL and has been married to his beautiful wife Lisa for 19 years. They have three beautiful daughters.